Critical Link’s new MitySOM-5CSx Embedded Imaging Development Kit will be on display at the SPIE Defense & Commercial Sensing show in Anaheim, April 11-13, 2017. For free registration, visit https://spie.org/conferences-and-exhibitions/de[...]. This kit pairs Critical Link’s MitySOM-5CSx Development Kit with a BCON Dart®, the latest camera series from Basler, a world leader in vision technology. This power-packed combination is the fastest path for embedded imaging application development. SPIE DCS is the leading global sensing and imaging event, drawing attendees from commercial and defense sectors working on next generation designs in areas of robotics, test & measurement, unmanned systems, machine vision, and many others. Critical Link’s MitySOM-5CSx platform (www.criticallink.com/mitysom-5csx-dev-kit/) is designed for embedded applications across these areas, ensuring a faster time to market and a significantly reduced development budget. 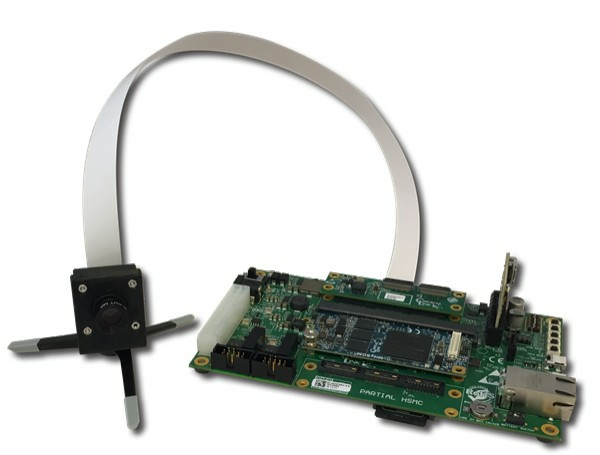 Add in integration with Basler’s dart series, the result is development platform perfectly fit for embedded vision products. At Critical Link’s booth #219 you’ll see how a dart with BCON for LVDS works using an edge detection application running on the MitySOM-5CSx. The demo features real-time image processing in the MitySOM’s Cyclone V SoC, using dual-core Cortex-A9 ARMs and FPGA fabric, and leveraging IP Cores from Altera’s VIP Suite. Images feed from the MitySOM-5CSx directly to a display port monitor with no PC in the loop – a key out-of-the-box feature for embedded applications. A fully-bundled kit will be available from Critical Link in early Q2, 2017. Contact us today at info@criticallink.com to ensure earliest delivery. Syracuse, N.Y.-based Critical Link (www.criticallink.com) is an embedded systems engineering firm offering customizable system-on-modules (SOMs) and imaging platforms for industrial, medical, scientific, and defense applications. Critical Link’s end-to-end product engineering services include design, development, and production. Critical Link is a premier Partner in the ImagingHub by Basler, a Platinum Member of the Altera (Intel) Design Solutions Network, a member of the Intel IoT Solutions Alliance, and is ISO 9001:2008 Registered by SRI Quality System Registrar.